This year's most important release (take that MP 44) is upon us. 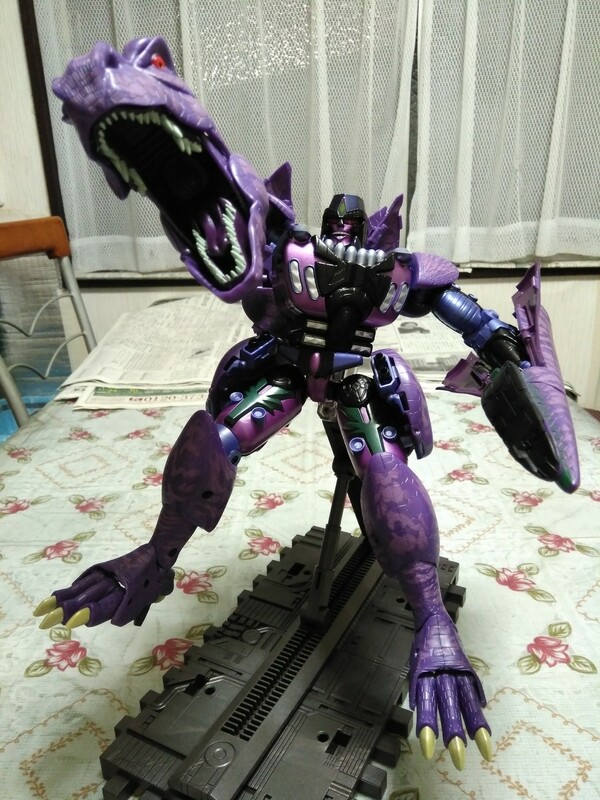 I am talking of course of Masterpiece MP-43 Beast Wars Megatron. While he is being released officially after tomorrow, certain stores already got him in stock (to be ready for release date) and some lucky fans have already held him in their loving arms. We are now getting many in hand images while we wait for a video review. 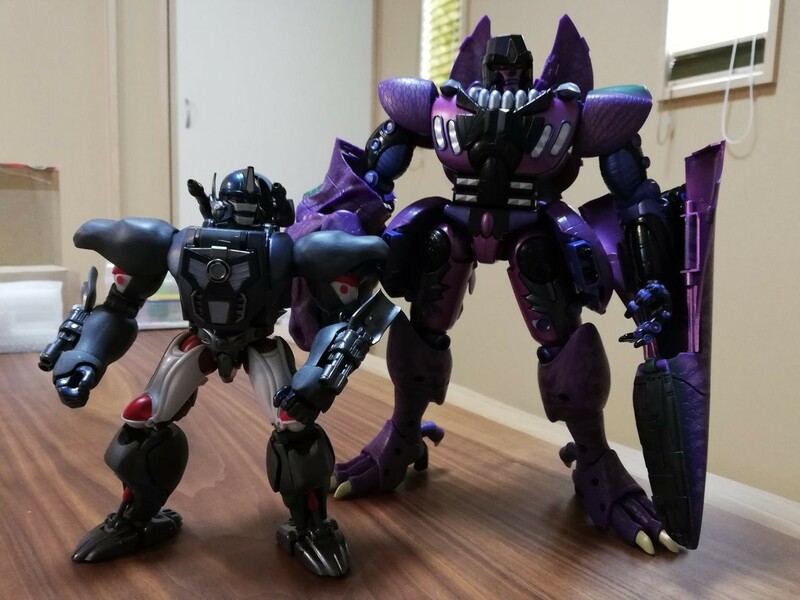 The images show us that he is even bigger than MP-36 G1 Megatron. 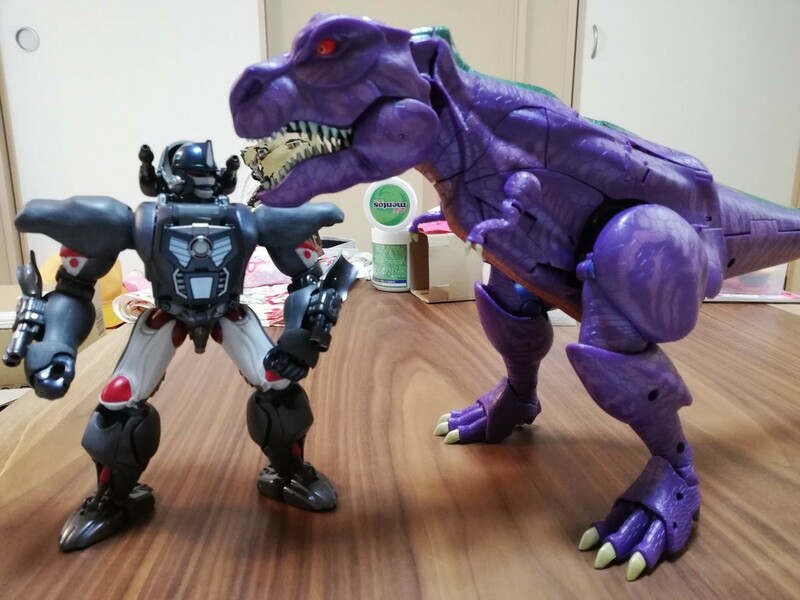 We see him scale with Optimus Primal and Dinobot. We also see the electronics with his eyes as well as shots of him without his beast shell. The images come to us from various sources such as 变形金刚玩具吧 (who has a haunting avatar photo), and chrisr291 (who has an avatar I can get behind) along with other posts on various social media outlets. The initial reaction has been mostly favourable. 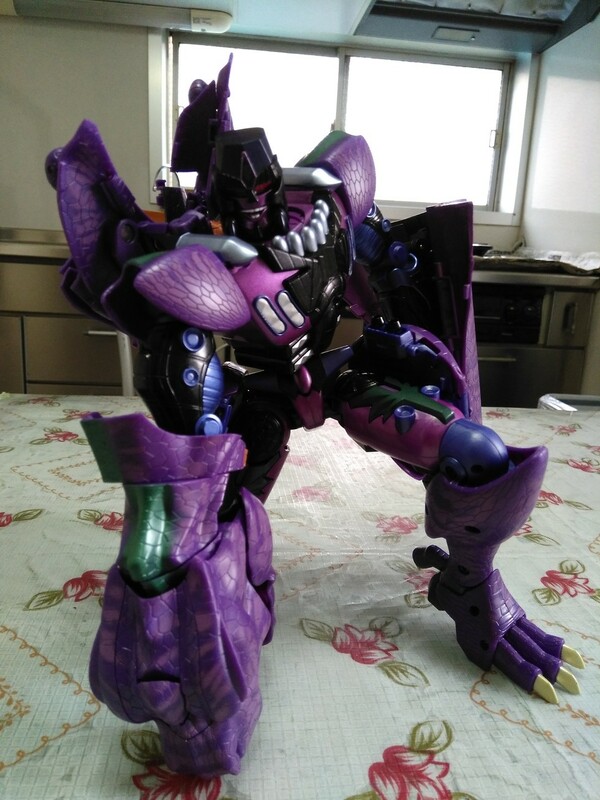 He is imposing, solid and has a nice transformation, reminiscent of the original toy. While the hip pieces don't hold on as tightly as would be preferable, the remaining beast shell stays on the robot quite well. 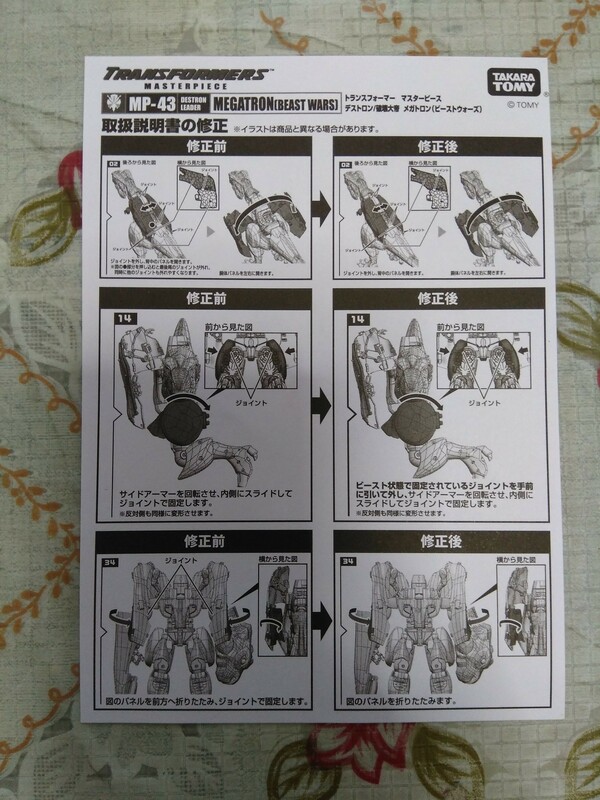 You will also see in the images below that the instructions come with a correction page. So please be attentive when transforming him. "A single Masterpiece figure, perfectly crafted in the likeness of the show model. I'm almost touched!" "...fortunately, such moments pass quickly." These pictures make me regret cancelling my preorder. But that price tag... It would be the most expensive figure I've ever purchased. 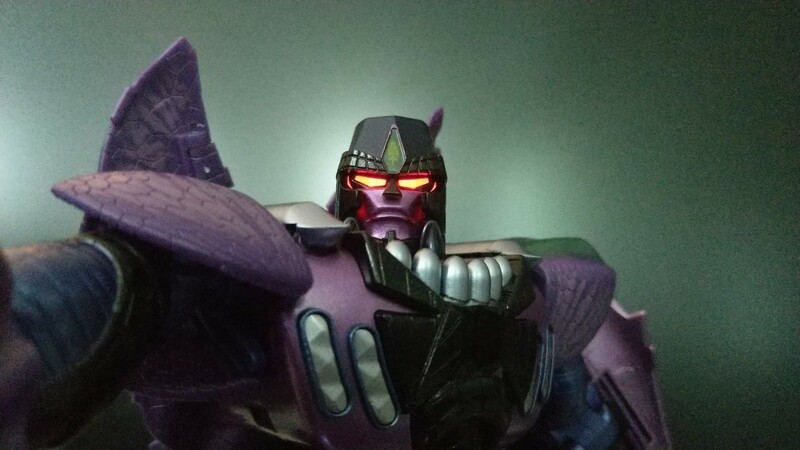 -Crossfire- wrote: "A single Masterpiece figure, perfectly crafted in the likeness of the show model. I'm almost touched!" How does this quote fit this Masterpiece better than "Yesssss"? Amazon Japan in an e-tailer. I just got the payment request from AmiAmi! 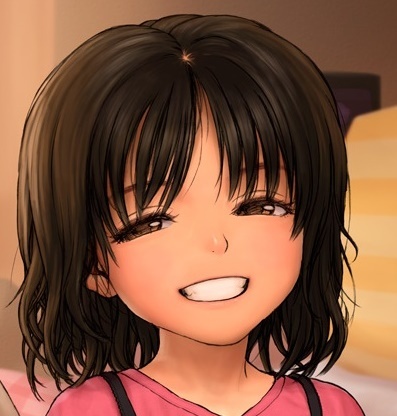 Yeah, I'm paying more overall and the shipping is going to be a little slower (air small packet, better than SAL), but I'm not in a rush and I have enough points saved up to bring the total price down to $250 just like on Amazon Japan right now. 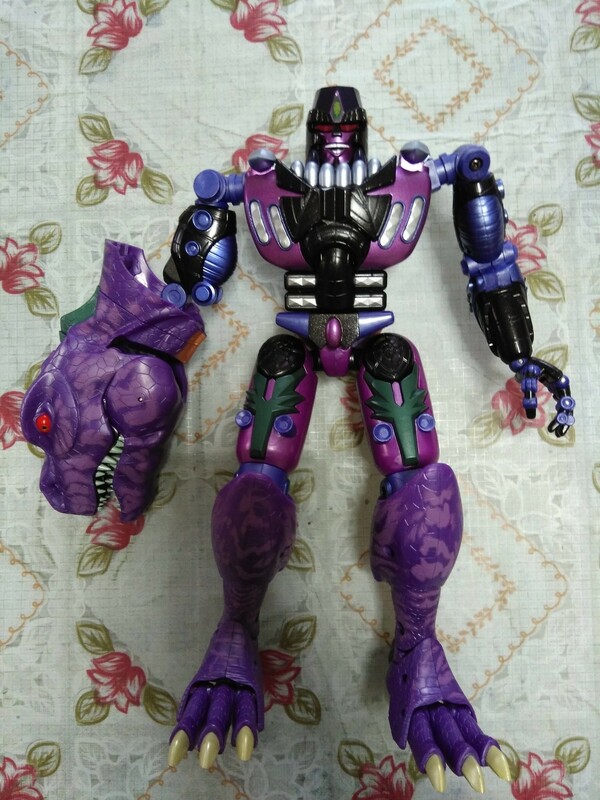 I know this is a stupid question, but which Optimus Primal figure is that? 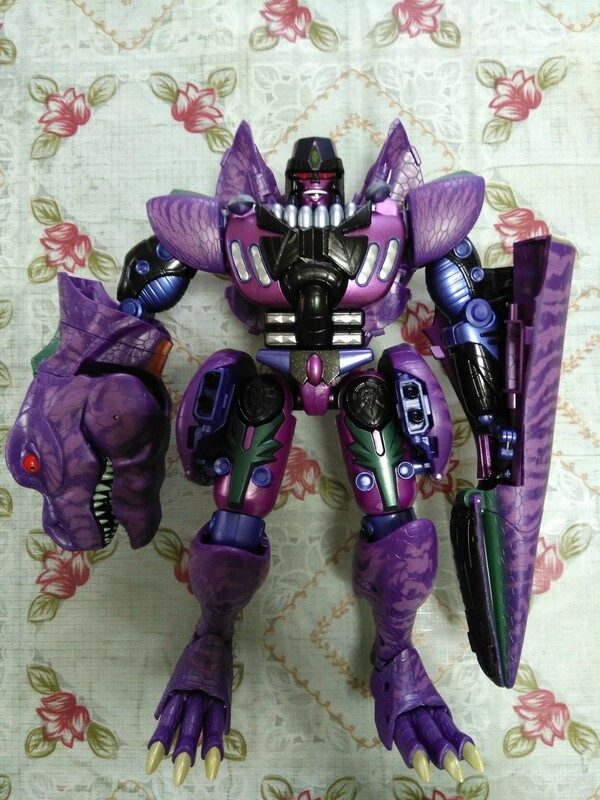 zipper wrote: I know this is a stupid question, but which Optimus Primal figure is that? 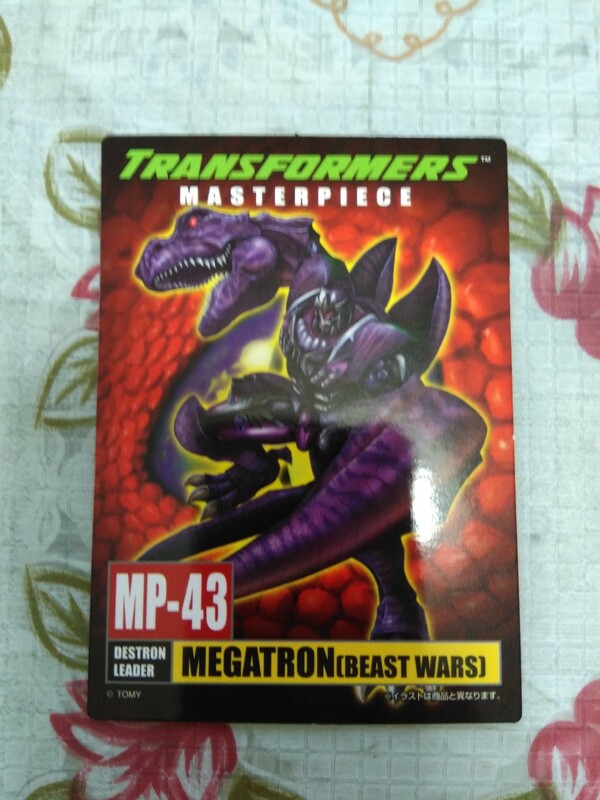 While the first in hand images of Transformers Masterpiece MP 43 Beast Wars Megatron made us all drool a bit, it seems that might have been a bit premature. 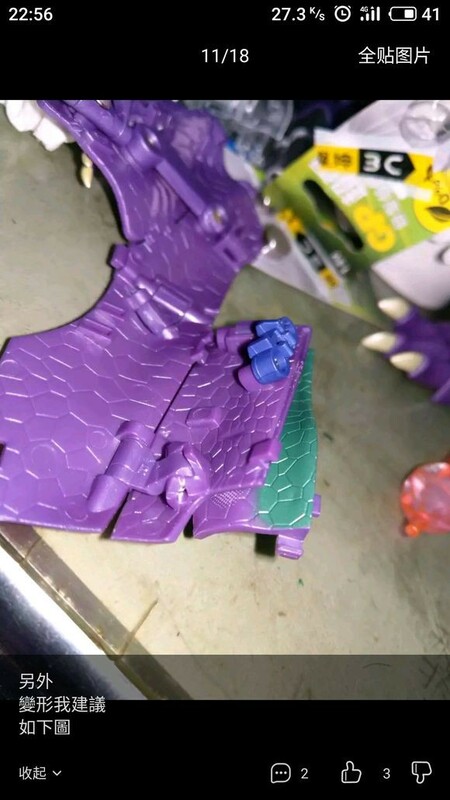 The toy looks amazing, of course, but we are now getting reports of breakage. There is indeed an extra instruction page for Japanese readers that was meant to help avoid some problems, but that may not help most westerners. 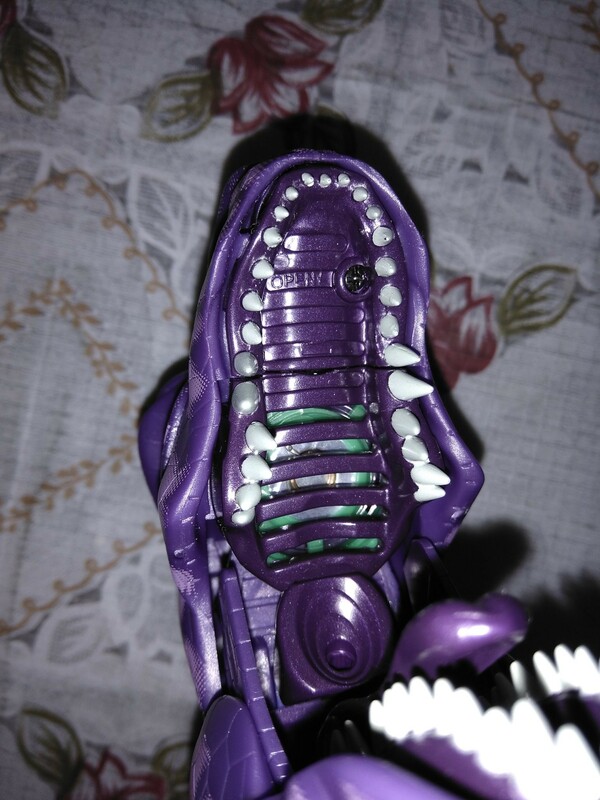 The plastic is also said to be rather thin, leading to stress marks which are very revealing on purple plastic. I don't know about you, but that broken crotch is the stuff of nightmares to me. These images come from a Hong Kong fan and can be seen below. 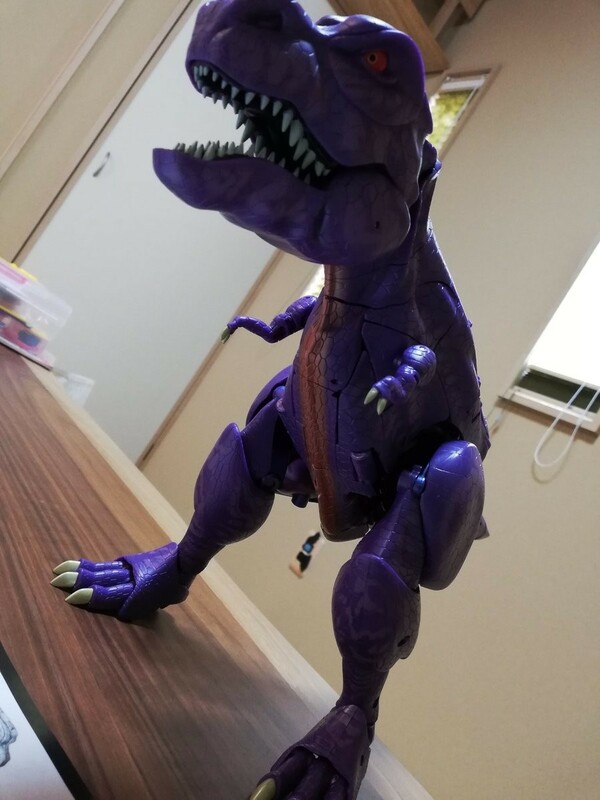 This is simply meant to warn you to be careful when handling and transforming this great looking figure when most of us get it next week. 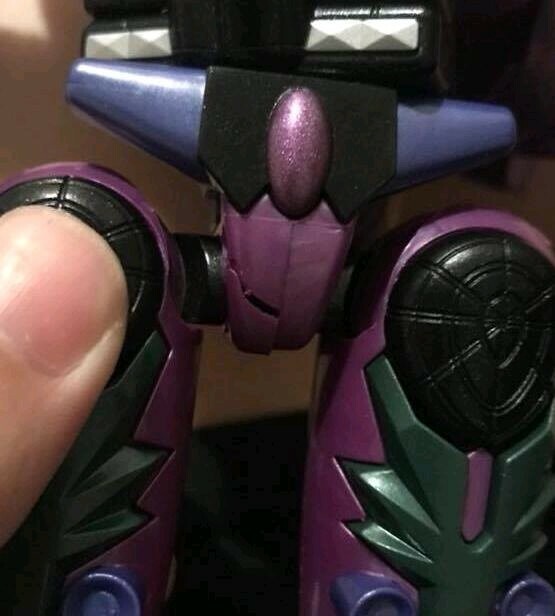 We had had another report of a broken crotch right out of the package from Goldimus Prime over at TFW who posted this image. 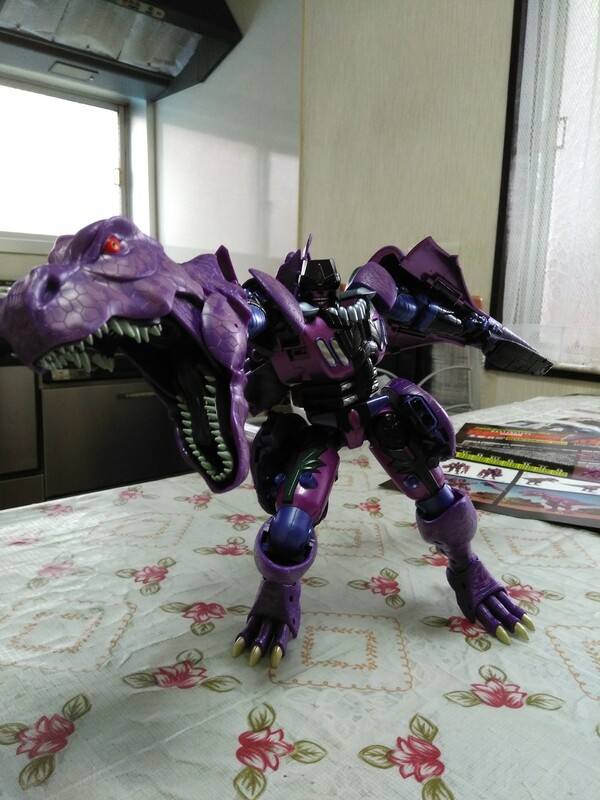 Hopefully we can get a Siege-quality revisit of Beast Wars some day. The masterpieces are pretty, but I don't want to transform a Faberge egg. 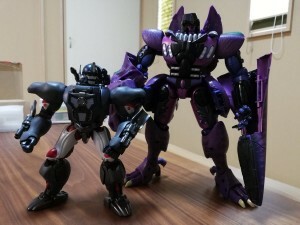 Megatronus wrote: I blame sweaty man-hands. Yeah I’m not gonna start blaming a toy until this is mass released and there are multiple reports. I’ve broken some just by applying too much force and pushing something that shouldn’t be pushed because I read instructions wrong. 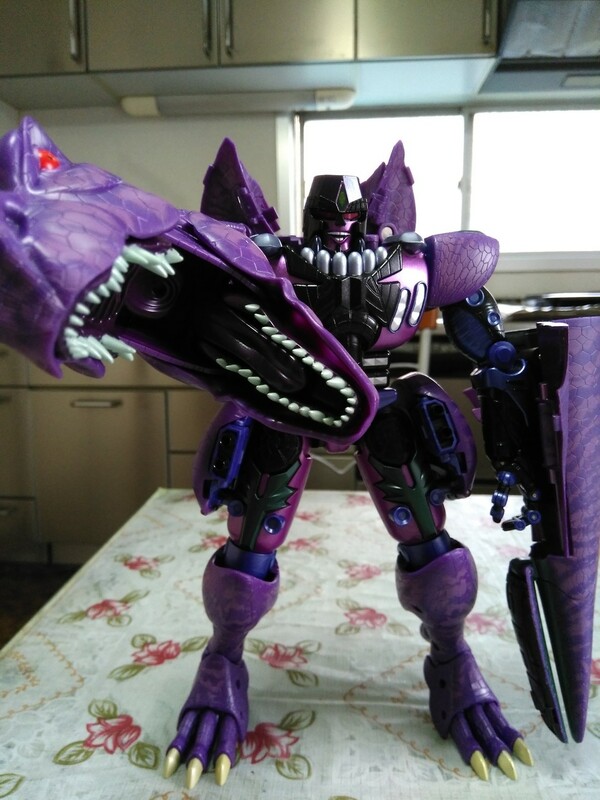 Caelus wrote: Hopefully we can get a Siege-quality revisit of Beast Wars some day. The masterpieces are pretty, but I don't want to transform a Faberge egg. 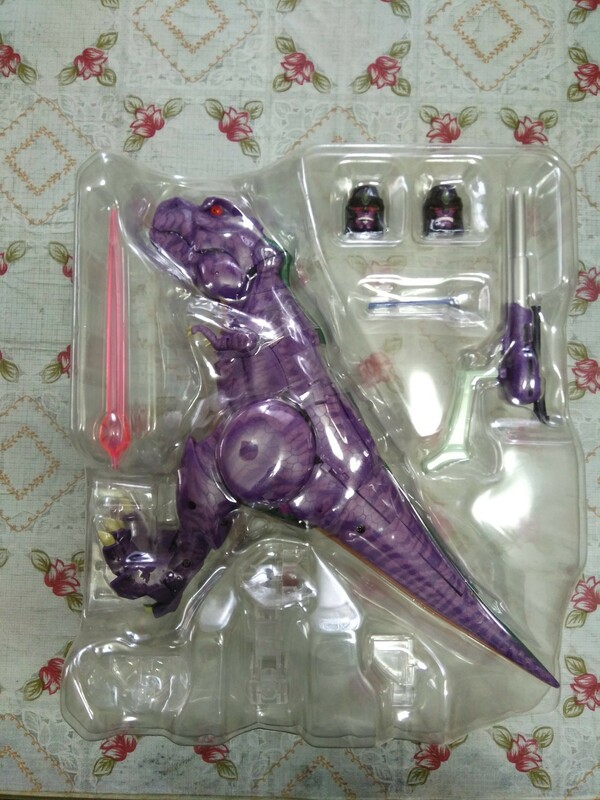 I'm hoping this is a Dinobot case where the early ones are hit-or-miss and later batches are much more solid. That said: Jesus, Takara, get your **** together. You better not screw up Blackarachnia. 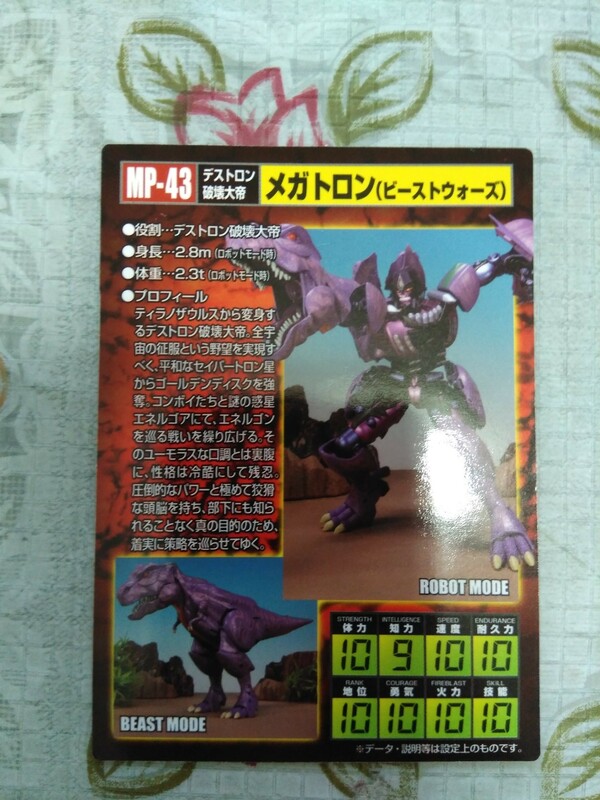 Black Hat wrote: I'm hoping this is a Dinobot case where the early ones are hit-or-miss and later batches are much more solid. That said: Jesus, Takara, get your **** together. You better not screw up Blackarachnia. 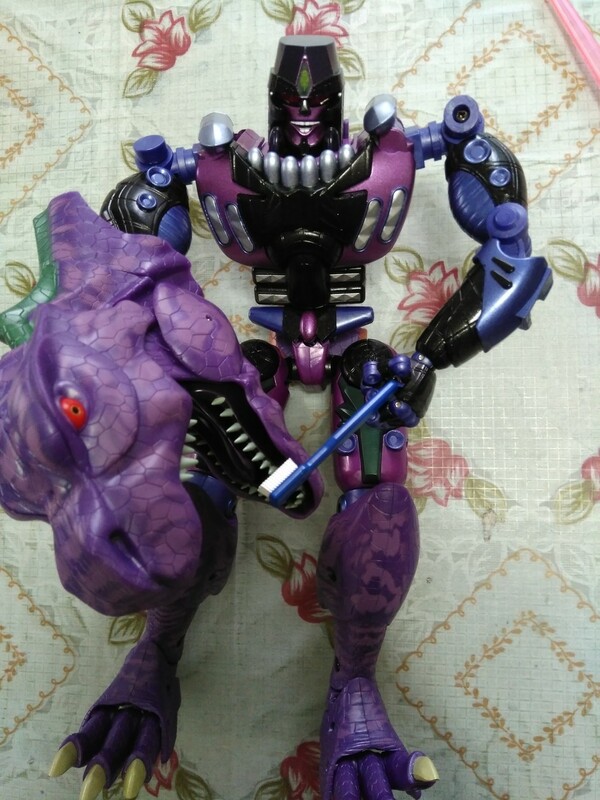 I dont think there were later batches with Dinobot. Me and Ironhidensh got ours the same time. His was super solid and mine got his head broken off during transformation. Oh my gods, that looks terrible. My sympathys go out to all who have ordered him. 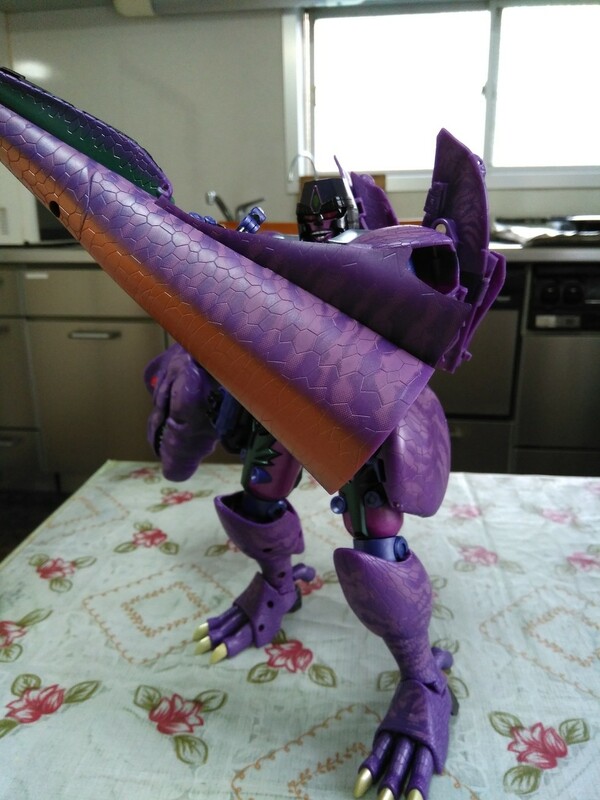 I'm happy with my original Megatron (even with his dinky color scheme and face). 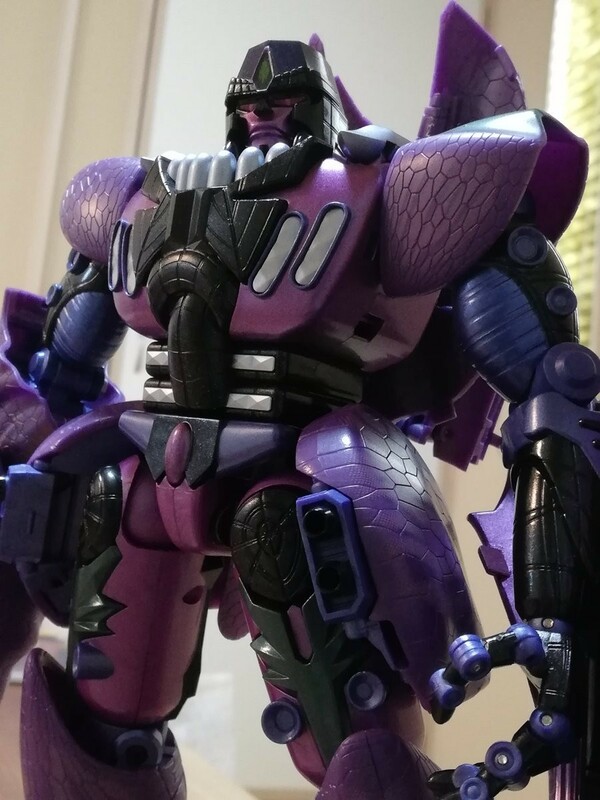 Masterpieces look amazing, totally agree but I (30 something year old manchild) still plays with Transformers and transform a lot. So I don't collect Masterpieces anymore. Broken Transformers, man one of my top 10 nightmares.